The Old Ferry Hotel is situated in a delightful quiet rural area with cottage gardens and all day sun. 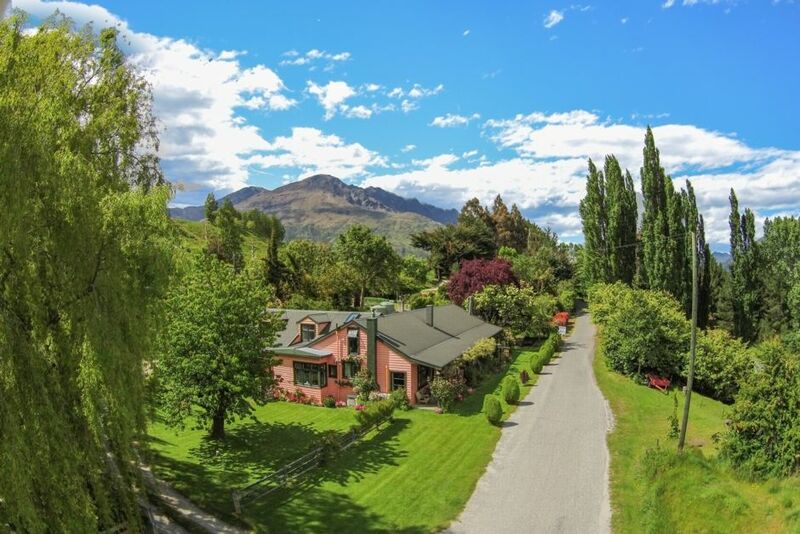 Perfectly positioned between Queenstown and Arrowtown. Only 5 minutes drive from the airport and shopping centers. Walking and cycling trails on the doorstep including The Historic Shotover Bridge and river. Central to both Ski Fields and all local attractions. The accommodation is made up of guest lounge and dining room, kitchen, laundry, and 3 guest bedrooms all ensuite and decorated in a beautiful heritage style.